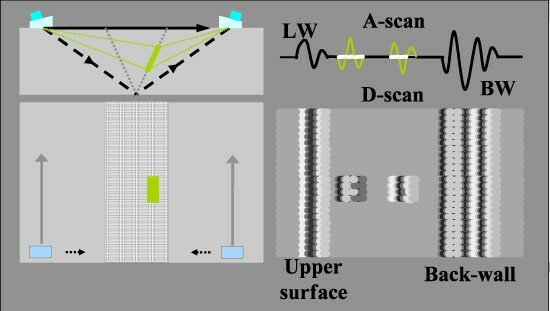 The scanners and Microtomo system are capable of performing both conventional pulse-echo (angle beam) and Time of Flight Diffraction (TOFD) scans: simultaneously if required. In this case, the welds of a reactor were examined to detect and size flaws. 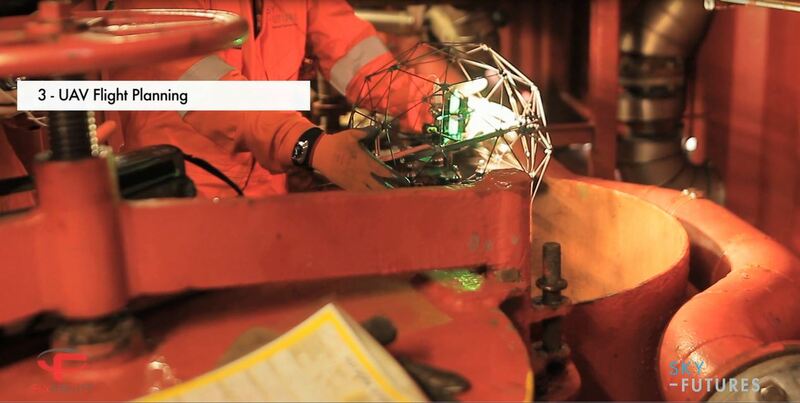 The welds were examined using a 45 deg pulse-echo technique. Data was recorded in blocks (scans) anywhere from 12” to 210” in length. Successive scans began at the endpoint of the previous scan. To ensure complete coverage of the examination volume, a data point and depth reading was taken every 0.04” in the axial (Y) scan direction before indexing by 0.200” in the circumferential or longitudinal (X) direction to begin the next scan stroke. 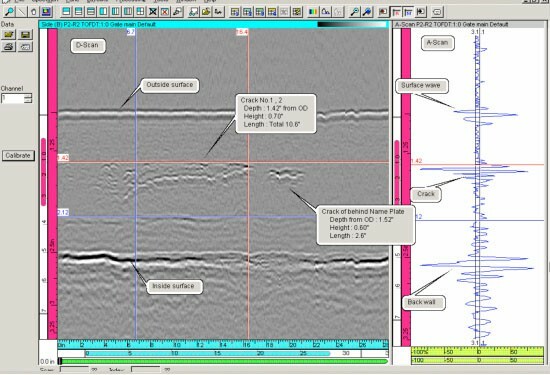 This (better than 50%) overlap of the search unit while indexing ensured that small flaws could be detected reliably.The longitudinal weld seam L2-2 was later examined by automated TOFD technique for better sizing of the indications. 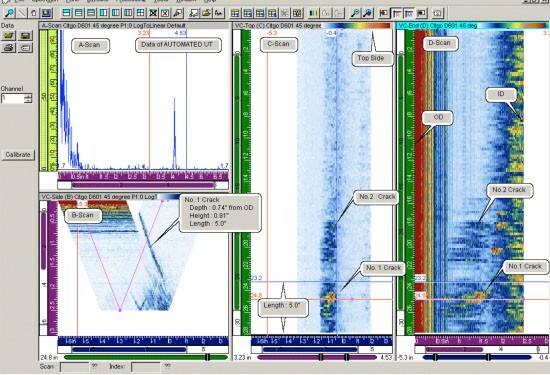 60deg longitudinal wave transducers were used for this examination. TOFD indications are shown by a top view of stacked A-scans. The grey shade indicates amplitude, vertical position corresponds to position along the weld and the horizontal axis shows time (of flight). These elements allow location and sizing of defects.